Zunino was selected as the top defensive catcher in all of baseball by Wilson. Mike Zunino wasn’t a finalist for the Rawling’s Gold Glove awards, but a different baseball glove manufacturer honored his work behind the plate. On Wednesday, the Mariners’ catcher was one of nine players to earn Wilson Defensive Player of the Year awards at their respective positions. The awards honor the top defensive performer at each position on the field and is determined by a combination of traditional defensive stats, advanced metrics and data from Inside Edge scouting. Zunino, 27, led all catchers with 12 defensive runs saved in 2018, according to Fangraphs. 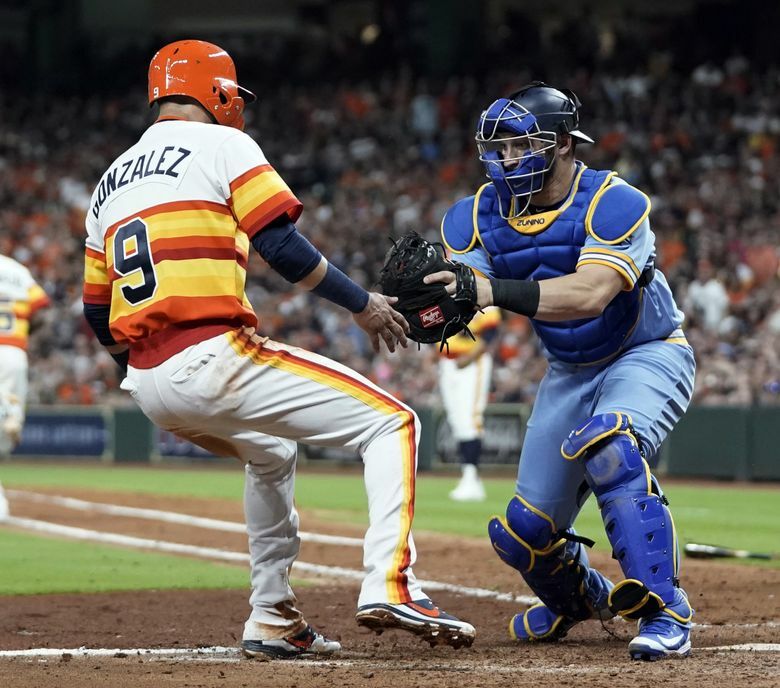 The 6-foot-2, 233-pound backstop also ranked third in the American League and fifth in the Major Leagues among qualifying catchers with a .998 fielding percentage. Among Mariners catchers in single-season club history, only Dan Wilson (.999, 2001, and .998, 2003) has recorded a higher fielding percentage. Zunino posted a 3.86 catcher ERA, fifth-best in the American League. When it came to controlling the running game, he threw out 18-of-52 (34.6%) of would-be base stealers, the seventh-highest percentage among all catchers with at least 700.0 innings caught in 2018. Zunino is the first Mariners’ catcher to earn a Wilson Defensive Player of the Year award. He is the third Mariners player to win the award at any position, joining Brendan Ryan (shortstop) in 2012 and Dustin Ackley (second base) in 2013.